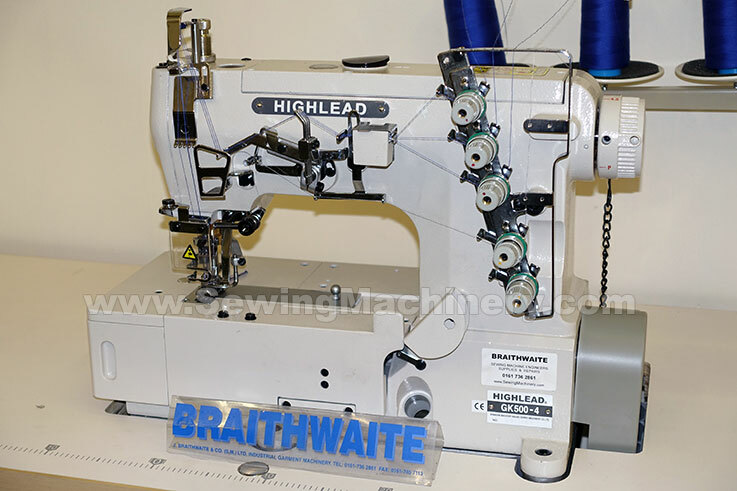 The Highlead GK500-4 is a high speed cover seam (seam-cover) industrial sewing machine. 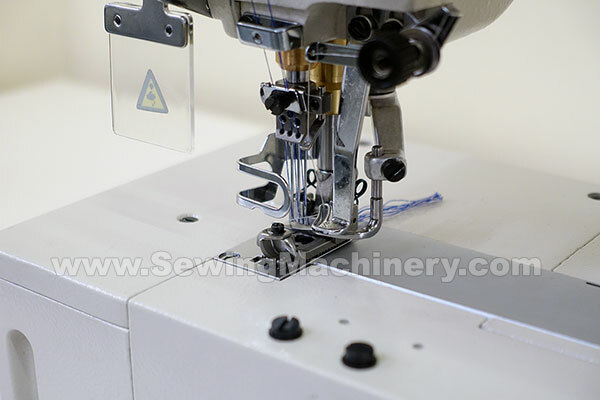 The general purpose GK500 -4 flat bed model is suitable for sewing operations such as hemming, covering or decorative stitching on light to medium weight fabrics. Special sub class models are also available for dedicated operations such as binding etc. Highlead Model GK500-4 = Universal type (basic type) general purpose version supplied on unit stand with single phase clutch motor. Highlead Model GK500-4-B/C = Binding/Collarette operations (similar to basic type with addition of pre-fitted alternative front cover, throat plate, foot and feed dog). Highlead Model GK500-4D-TT = automatic version which features auto under bed thread trimmer, auto top cover thread trimmer and electronic needle position motor with the option to add other devices i.e. auto foot lifter.